For Coulson Rich, camping is indeed a lifestyle. 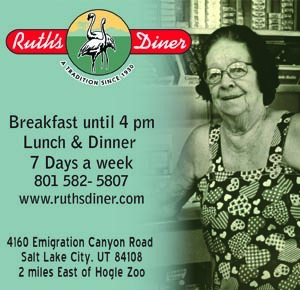 “When I bought my bus, I was no longer comfortable paying rent. I wanted to live in my bus and have the freedom to move around and see the country.” Rich says he spent six years in his early twenties living out of his 1972 VW bus. He customized it with cabinetry, wood floors and upholstery. His first jaunt was a three-week trek from Seattle to Maine. He has since driven across the country numerous times and rebuilt the engine of his bus three times. 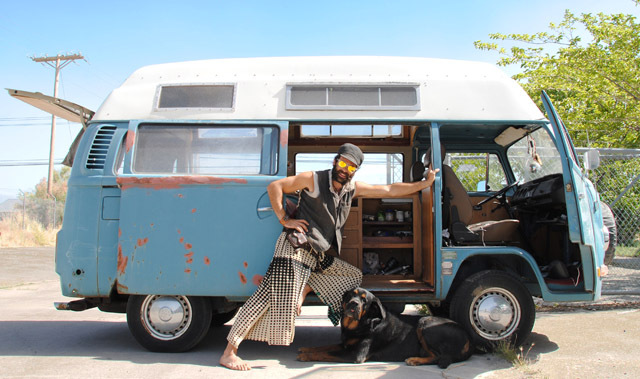 Rich has recently upgraded from the smallish VW bus to a GMC diesel cargo truck he converted into “the diesel daemon” which will serve as both workspace and home for him and Atlas, his 170-pound dog. This story is from our July 2012 issue. 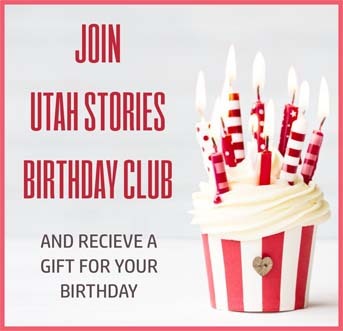 Also visit Happy Backbacking in Utah, Happy RVing in Utah. Or buy this issue for just $2.99! 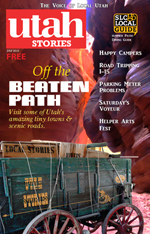 Special offer get all the best of Utah Stories road trip and small town issues for just $3.99! (three issues).